Granular fabric is red with frequent small subangular inclusions. Interior surface has thin red slip; exterior is light brown. 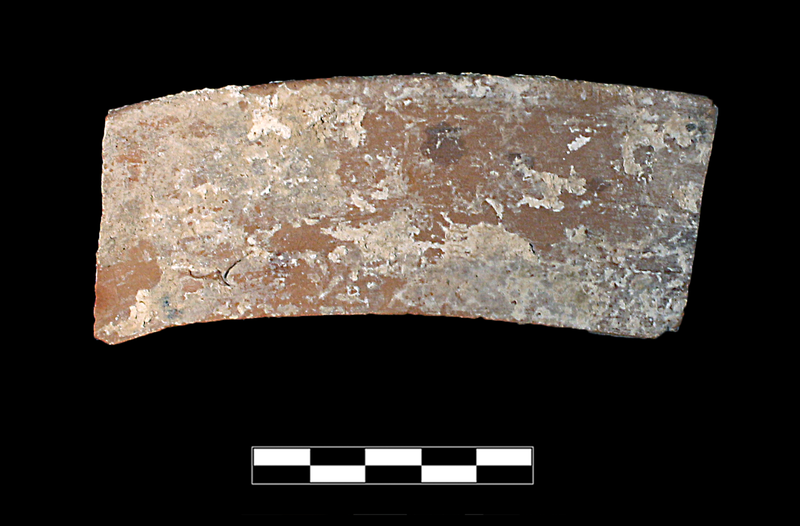 One sherd preserving less than 1/6 of rim. Heavily encrusted.